Metaphorically, arugula is like spinach's rugged, flannel shirt wearing, Paul Bunyan-esque uncle, down visiting from his log cabin. Even its other common name - rocket - alludes to its wild nature, like a circus tiger that may listen to its trainers but also one day eat them. 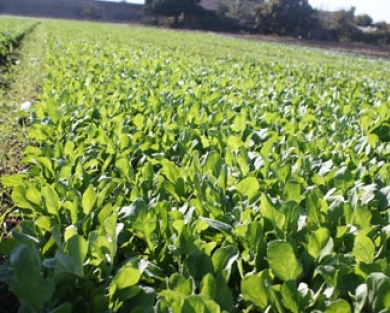 Arugula's leaves are less uniform than spinach, a little uneven at the edges, and their general shape and texture hint at its very recent cultivation. The plant is an even newer addition to many people's salad forte, as some are hesitant to try what is often described as "peppery". Peppery, yes, but also one of the most flavorful and unique greens I have ever encountered. Tender enough to eat raw , making for rich and varied salad potential, arugula is my personal favorite baby green. 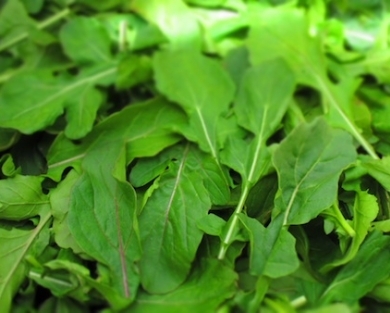 Arugula's flavor is a perfect balance of sweet, spicy, savory, nutty and bitter with a delicately crisp texture to boot. 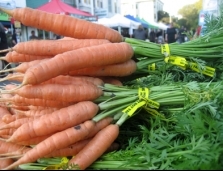 Take the leap of faith with this slightly quirky, feral green and receive high amounts of vitamins, protein and fiber that leave many people feeling full and satisfied. 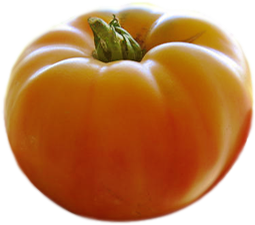 Try pairing it in salads with sweeter ingredients to counter its spice like heirloom tomatoes, dried fruits, roasted beets, sweet summer corn and the classic goat cheese. I like to top my arugula salads with both balsamic vinaigrettes and creamier tahini dressings, and sweet yellow or red onions give arugula an added little kick for the bold and adventurous eater. For those less thrilled by salads, arugula's nutty, savory flavors also work well as an herb. Briefly sauté and add to meats like steaks, prosciutto and fish - sometimes I throw it into gravy, roasted potatoes, or use it as a topper for things like pizza and homemade macaroni and gruyere. My all-time favorite pairing, however, is arugula with a runny egg, salt and pepper. For some reason, this flavor and texture combination is the perfect breakfast, lunch, dinner, midnight snack, hangover cure and pre-market fuel. Arugula has good amounts of folate, fiber, vitamin C and antioxidants. Try an arugula salad with roasted beets, goat cheese and a balsamic vinaigrette - delicious! Another favorite salad dressing is simply fresh lemon juice and olive oil, add parmeasean if you like. Arugula also makes for lovely wilted salads and is especially tasty with eggs.